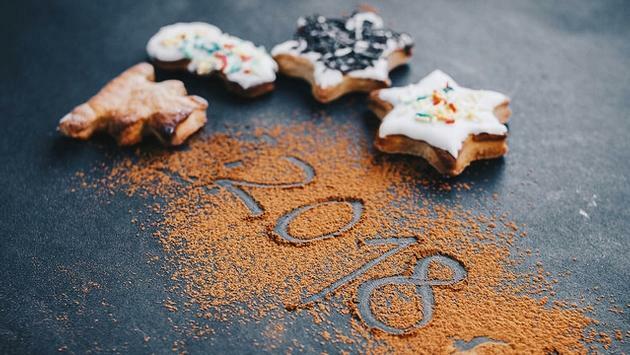 With the dawn of 2018, many of us are eager to set New Year's resolutions, determined to improve some area of our lives. But I gave up on resolutions long ago. With only an 8 percent success rate, why bother? How many times will I resolve to devour only one pizza per week before I realize that my love of Chicago-style deep dish far outweighs my desire for chiseled abs? Instead, I now make New Year’s intentions, where I set tangible, realistic goals that I can work to improve upon each day, without feeling like a failure if I deviate every now and then. Consistency is critical to success in everything that we do. Social media posting and engagement, newsletters, content creation and client follow-up—it’s all important. As you plan out the next 12 months, create a detailed marketing calendar. It’s important to schedule recurring tasks, along with an estimated time to complete them, because what doesn’t get scheduled doesn’t get done. Go one step further and get specific. Instead of feeling rushed or panicked when “write newsletter” pops up in your calendar notifications, take time at the beginning of the month to assign detailed topics to each activity. You’ll find comfort knowing in advance what you’ll be writing about each day or week for each piece of content. Quality beats quantity, every time. With social media, in particular, many of us feel overwhelmed. We are told to post multiple times each day on myriad platforms, to curate a diverse mix of hashtags and to interact with our fans, followers and other accounts. My intention this year is to post on my chosen social media platforms once daily. My ideal clients are on Facebook, Instagram and Pinterest, so that’s where I’ll be focusing my efforts. What about you? Where do your ideal clients hang out online and how can you get in front of them? Pick two or three platforms that your ideal client uses and focus on posting high-quality, original content on those sites. If a particular social site felt “heavy” to you in 2017, cut it out this year! The best social media platforms are those that you’ll engage with consistently. Blogging is so 2017. In 2018, it’s all about the vlog! We all know that social algorithms favor video, so this is your opportunity to improve your visibility online. As an introvert, I find the idea of going on camera to be more than a little intimidating—but if I can do it, so can you! In last week’s article, I gave some tips on ways to improve your video prowess. These small, inexpensive upgrades will do wonders to improve the quality of your videos and will make you feel more confident in front of the camera. Disappointment, frustration and even anger are all a part of life. It’s easy to feel slighted when a sales lead goes radio silent after you send a quote, or frustrated when a supplier changes their rules to the detriment of travel agents. Or when someone grabs the last slice of pizza. While we can’t eliminate these challenges from our lives, how we react to them is fully within our control. Instead of harboring resentment toward clients or suppliers (or pizza thieves), consider ways you can fortify your business to prevent these from recurring in the future. Perhaps it’s finding the courage this year to implement a planning fee or creating stronger relationships with tour operators and local DMCs who support your business model. And when it comes to pizza, I learned at a young age that licking the last slice is good insurance. Practice patience and compassion with yourself, too. You are the most valuable person in your business, so don’t be so hard yourself this year. Find joy in the process of building your business and use each negative experience to sharpen your skills for the future. You can make mistakes or have an unproductive day and still be successful in the long run. One of my intentions for 2017 was to get visible, and it’s so important that I’m recycling it in 2018. As a small business, getting in front of a wide audience is essential in building a solid client base. If you’ve been playing it safe or waiting for people to find you, today is the best day to take a more proactive approach! I often fall into what I call “internet complacency,” neglecting opportunities in the real world. If you’ve been comfortably hiding online, set goals this year to attend more in-person networking events. With a polished elevator speech, you can approach personal interactions with more confidence in the coming year and build new client or supplier relationships! Think of other ways you can build visibility for your company: Perhaps you can become a guest contributor to a local magazine or TV station. Consider becoming an active member of any number of travel trade associations or lobbying for Congressional policy measures during ASTA’s “Legislative Day.” The possibilities are limitless, and the energy you put into these offline efforts will generate attention and visibility for your brand in the years to come. I hope my plans for 2018 have spurred some ideas for you too. What are your New Year’s intentions? Leave a comment below and let me know what goals you’re setting to make 2018 your best year yet! Jacob Marek, Founder & Chief Explorer at IntroverTravels, is a US-based travel advisor with over 10 years of experience in travel marketing and consulting. He travels and works remotely to build a unique portfolio of destinations as a self-proclaimed #Entreprenomad. Jacob was a finalist for the 2017 ASTA Entrepreneur of the Year, and is the Co-Founder of Travel Agent Awareness, a grassroots effort to show the value in working with a skilled travel advisor.